I have never been more photographed in my life! 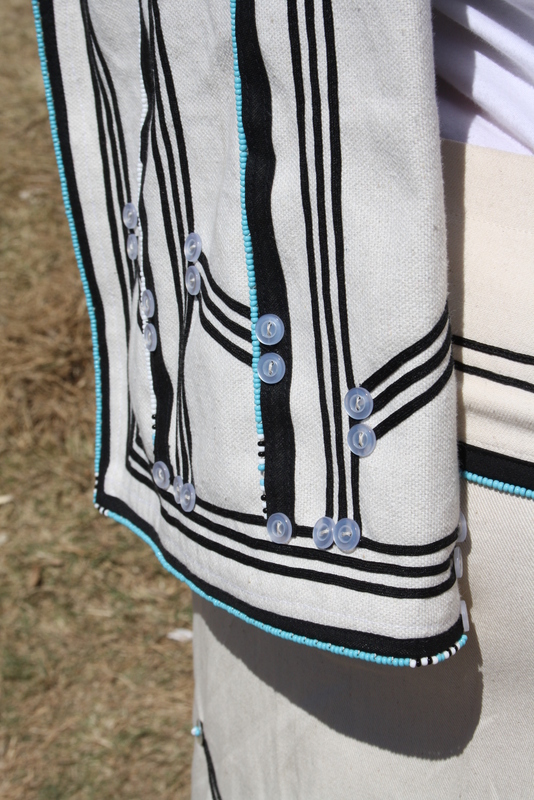 The general consensus, in spite of my reservations about white people in Xhosa traditional dress, was that it worked. The eyebrow pencil instead of calamine for the face painting was a bit of a fail – it smudged and needed touching up all the time (thanks for your patience, Cebisa). I really resisted the notion of Thabisa in men’s clothes, and me in women’s (you know… the boring “who is the man?” question), but in the end it is how it worked out. 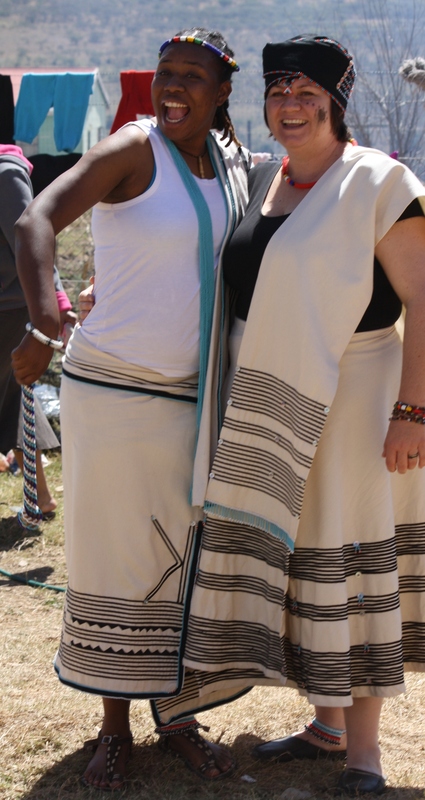 Thabisa and Gail in traditional dress. She looked fab. I must prefer the men’s clothing – nice lines. 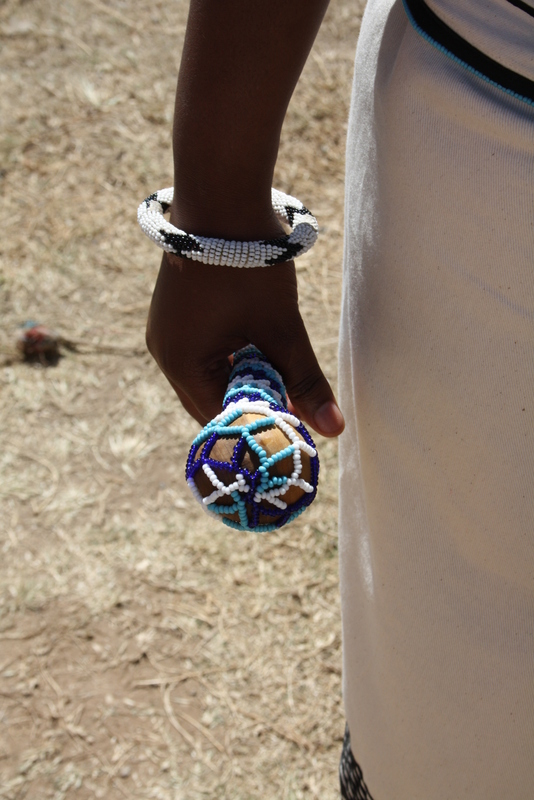 Detail of the ibhayi bought in the street in King William’s Town – beautiful beadwork. The head-dress, called iqhiya, is surprisingly comfy. 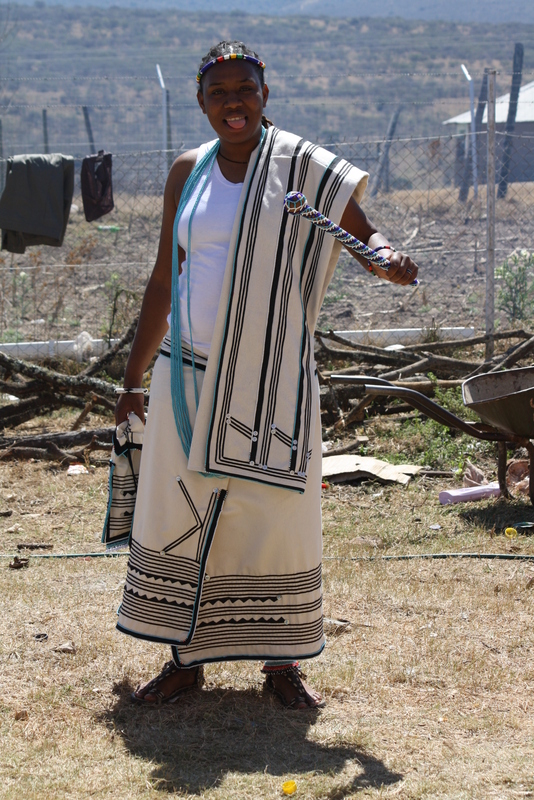 This entry was posted in Uncategorized and tagged Debe Nek, Eastern Cape, South Africa, Wedding, Xhosa culture, Xhosa traditional dress. Bookmark the permalink. Wow Gail, so cool. Beautiful clothing. Looks like a really happy day. We had a lot of fun, but it was scorching hot and very long. We sat in the blazing sun while the preacher preached and preached and preached. 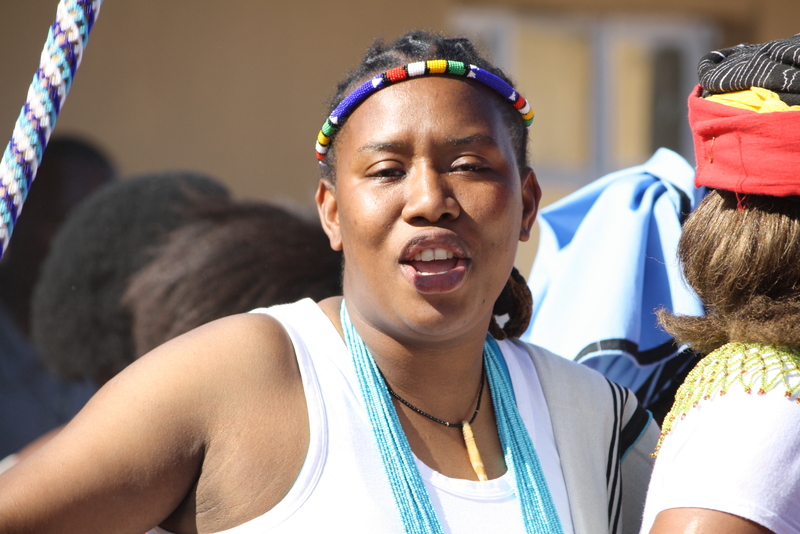 I felt for the makhoti who was heavily pregnant (with baby number two!). I will write about the wedding itself sometime. 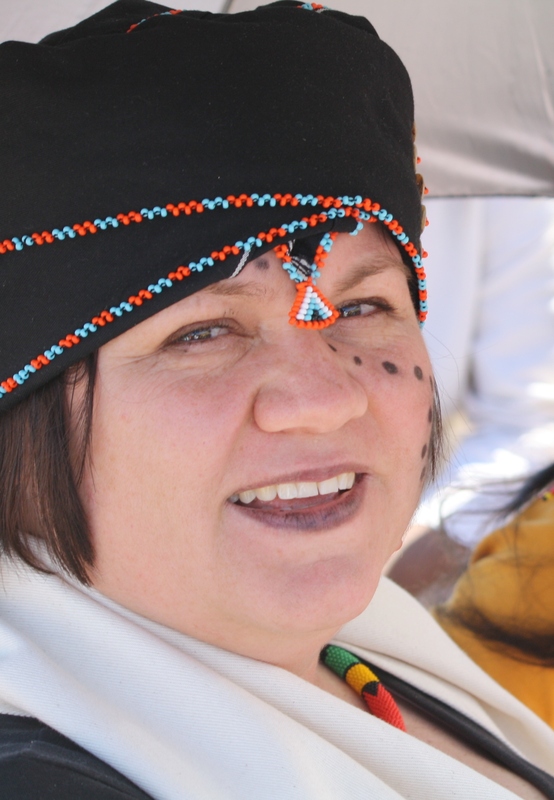 Ewe kakade maxhosa ndithi embo ntozikabawo yiyo leyo maan yimincili kum kukwalulo kwa uvuyo ndithi hlafunani nenze mthamo umnye ngesixhosa sakowethu ndiyazidlangaso heke!!!! Kakade thina MaAfrika, sizi zinto eziyithandayo into entle. Ndiyabonga Sandile, kakade ukwanda kaliwa ngumthakathi. Ndisafunda ke Sandile isisXhosa.